There is only one way to play this hole. From the second and third tees, you'll be hitting your driver and from the first tee, you'll be using a wood. 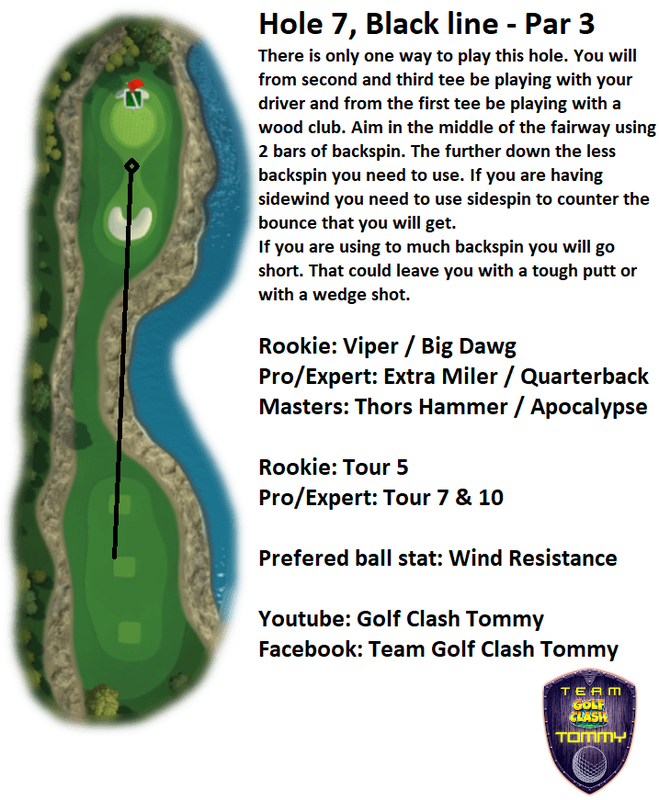 Aim in the middle of the fairway with 2 bars of backspin. The further back you aim, the less backspin you'll need. With cross wind, you'll need to use some side spin to counter the bounce. With too much backspin, you'll end up short with a very tough putt or wedge shot.